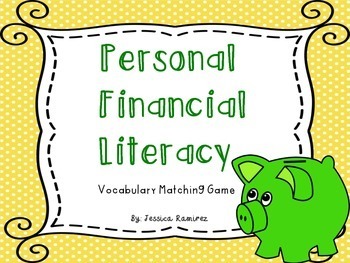 Personal Financial Literacy Vocabulary: These cards have been created for students to practice identifying words and their meanings. 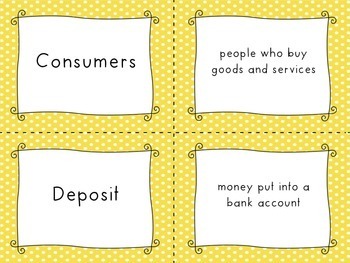 Students often get these words confused when they are first taught. 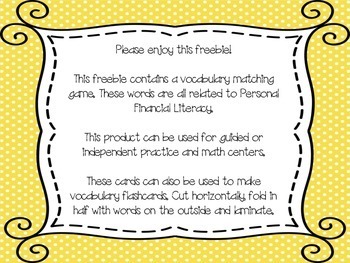 There are 11 vocabulary words with definitions for student practice. These cards can be used as a matching game. 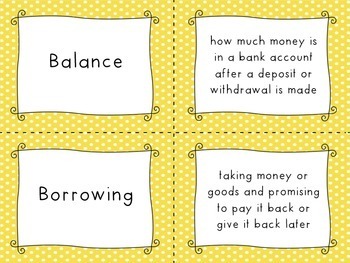 They can also be used to create vocabulary flashcards.